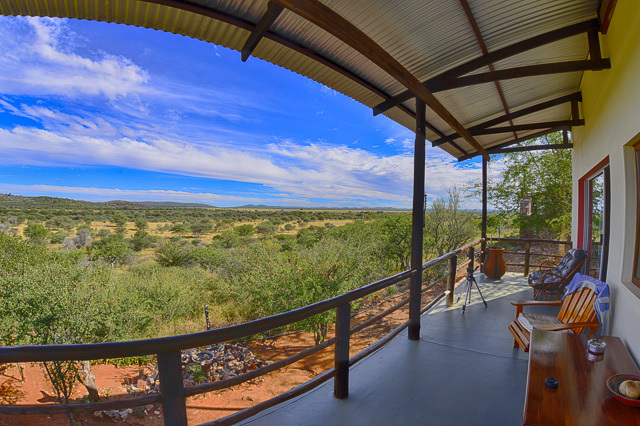 Toko Lodge - the ideal base to explore western Etosha! Toko Lodge is ideally situated providing a gateway into Western Etosha, which is now open to all visitors, not just those staying in Etosha. 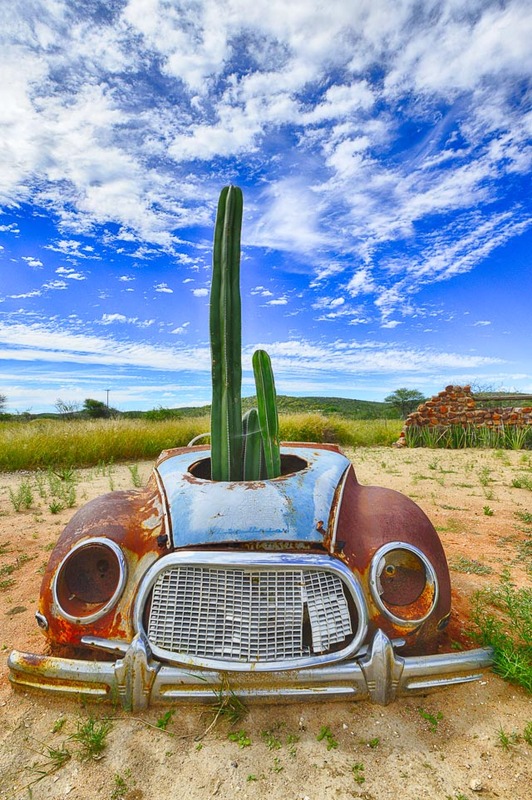 It also provides access to Damaraland or to view the unspoilt Kaokoveld. Head north on the C40 then take the C35, turn onto the D2763 and after a few kilometers turn onto the D2695. At the beginning of 2017 Nico and Karola's family sold Toko Lodge and some of the reviews on TripAdvisor since then have not been great. 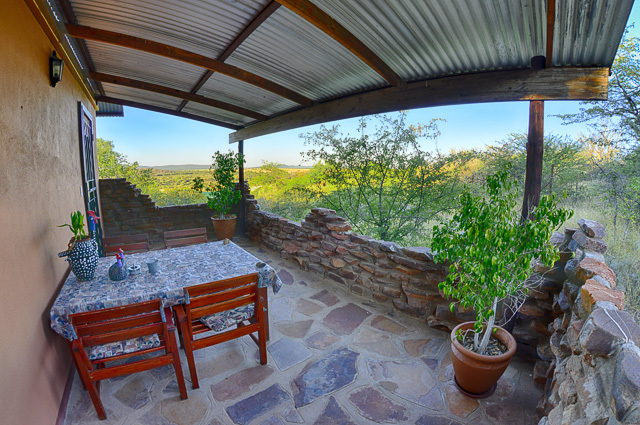 Rustig Toko Lodge is perched on a hill giving you fantastic views over the 3000 hectares of veld and mountains in the far distance. 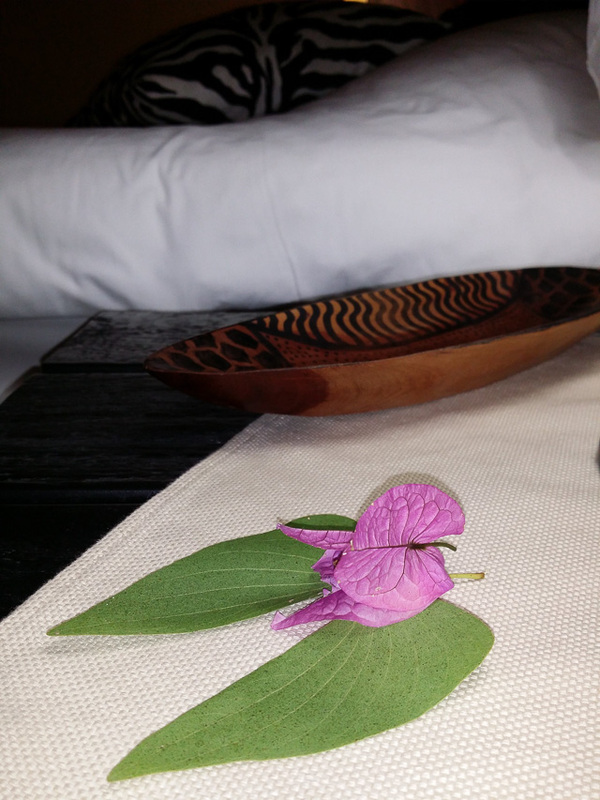 The word 'Rustig' means relaxed and that is just how you will feel at Rustig Toko Lodge, we spent 3 wonderful days there and did not want to leave. 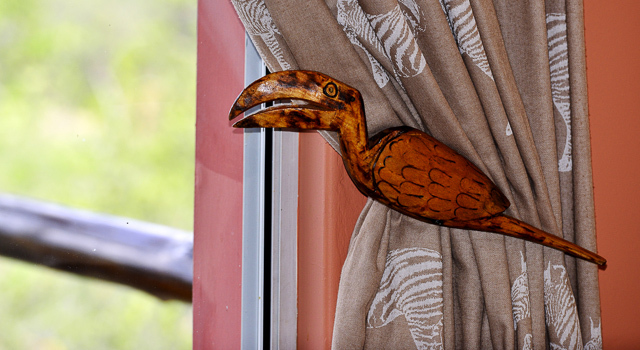 The word 'Toko' means hornbill in German as the rare Monteiro's hornbill can be seen in and around the lodge, hence you will see many tasteful decorations of hornbills...! The main building houses the restaurant, bar a small lounge to relax in near the reception area and a long veranda. 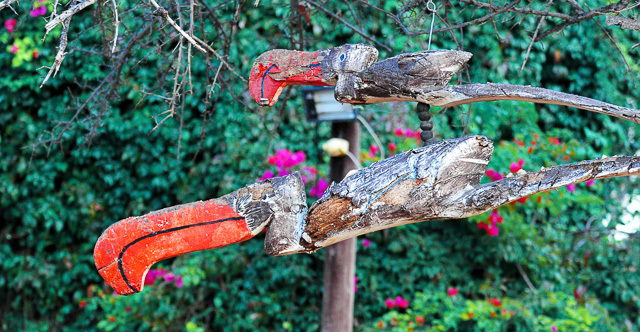 A boma/fireplace is just in front of the swimming pool and lots of birdfeeders hang in the trees near the main building, giving you a chance to see the wonderful bird life - like the Monteiro’s Hornbill. 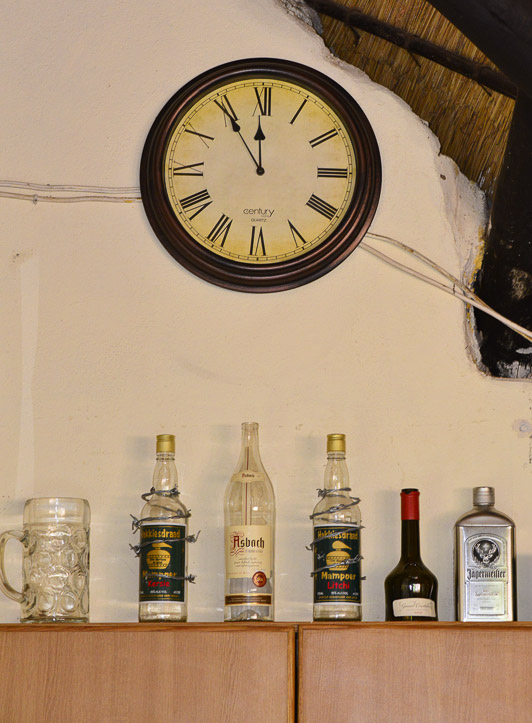 All the meals are served in the cosy restaurant and bar, which are in the main building. 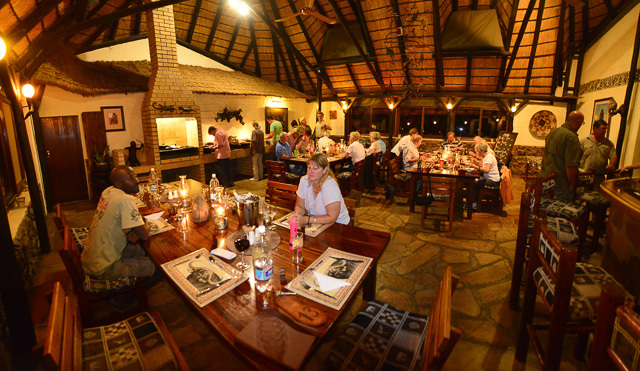 Meals are from a set menu and dinner is typical African-Namibian cuisine accompanied by some great South African wines. When they have a large group, meals are served buffet style. 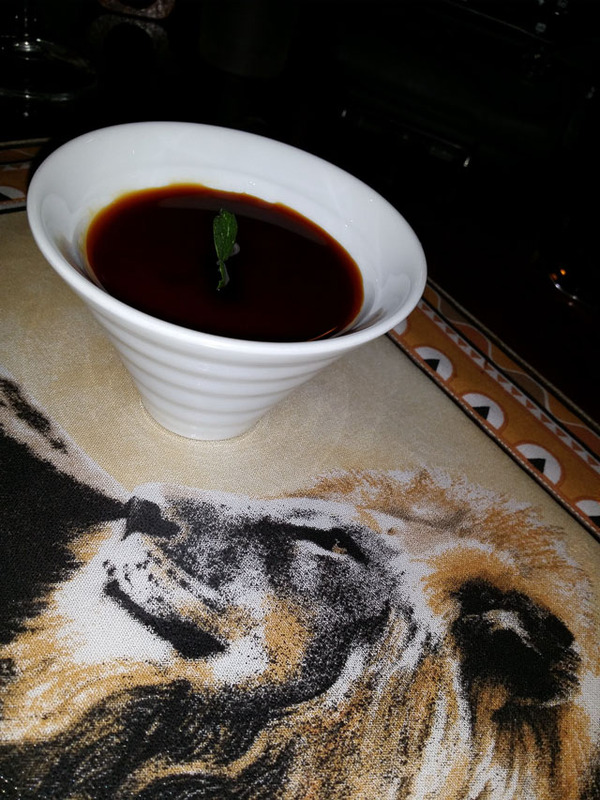 We had three great dinners - Biltong soup, Roast leg of Kudu with salad, veggies and cream caramel for desert. We took breakfast packs when we went into Etosha for our self-drive safaris but on our last day we decided to have a sit-down full breakfast, which was super! A light lunch can be ordered if you still feel peckish after breakfast. Tea and coffee with cake and biscuits are served in the afternoon and then you can enjoy sun-downers around the fireplace just next to the pool area. This clock intrigued us as it didn't work! We asked Nico why he didn't fix it and he said he may get an opportunity to show us. So on our last night there was a party of tourists having dinner and the one lady got very drunk and she ended up being a disturbance and breaking three glasses. Her friends kept telling her to go to bed but she didn't want to know about bed as it was not even 10pm. Nico then pointed out the time to her (nearly midnight) on the bar clock and reminded her that tomorrow they have to be up early to go into Etosha. It worked like a charm - she got up from the table and staggered to her room with some help from Nico! I could not believe the size of our room - huge, with lots of nice little touches throughout. Our room had a queen size bed, a double bed, a lounge area with lamp, a small room off the side with a tea and coffee station and large cupboard and then just off the lounge was the large covered patio with chairs and table and a lovely view over the valley towards the mountains and floodlit waterhole. 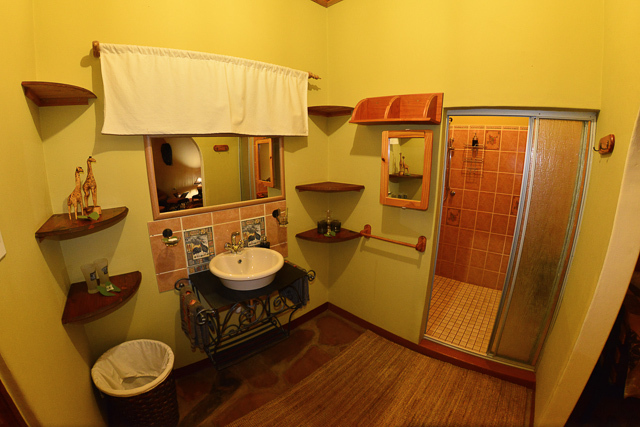 Three of the 14 rooms are family rooms and all are individually decorated with large en-suite bathrooms, mosquito nets, tea and coffee station and safes. 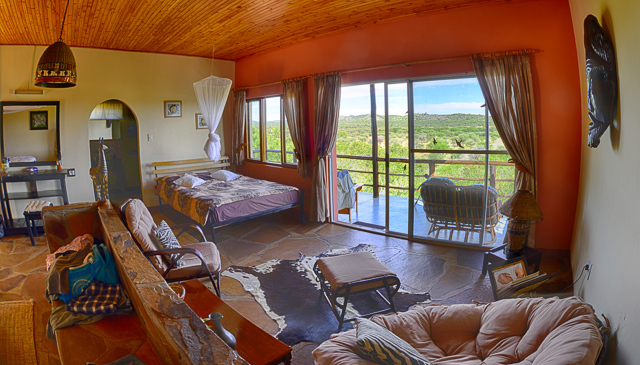 All the rooms have verandas with stunning views of the lovely gardens, valley, mountains or the waterhole. 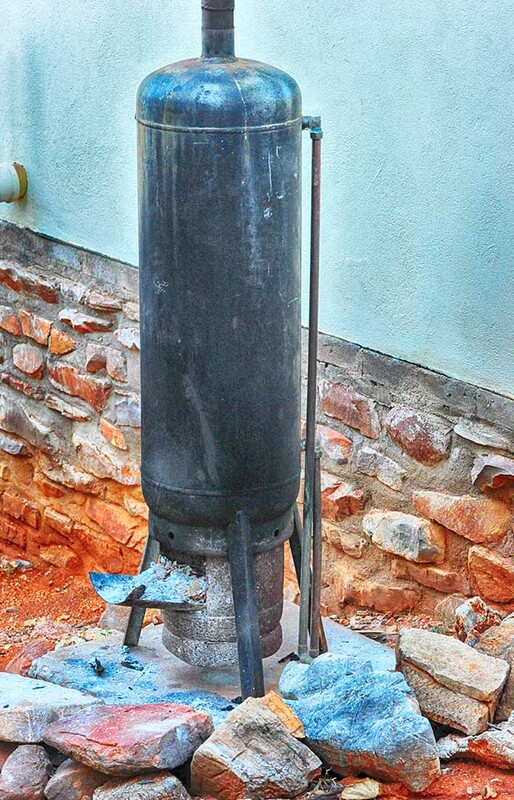 Hot water is obtained through the old donkey system- which is outside each room. The Omumorombonga campsite, named after the holy tree of the Herero people, has 3 new camping sites with shade, exclusive facilities like private bathrooms and hot water from the old donkey system. Firewood, ice and braai (BBQ) packs are available for your convenience, but if you do not want to braai then spoil yourselves and book a dinner at the lodge. Relax round the sparkling swimming pool, or take a walk around the lodge grounds or on the greater lodge property as there are a number of interesting things to see and photograph. 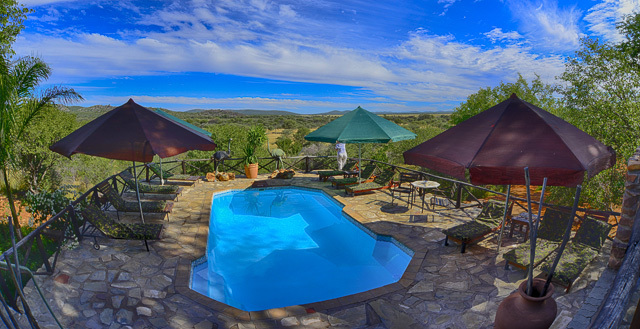 From the pool deck you can see the floodlit waterhole - look out for the smaller animals that come to drink or just enjoy the magical ambiance created by the vast natural backdrop of the landscape. 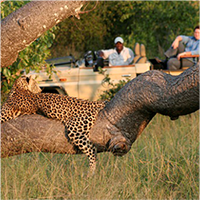 Toko Lodge offers three games drives a day - morning, afternoon and an after dinner night drive, where you will go in search of the elusive shy five. 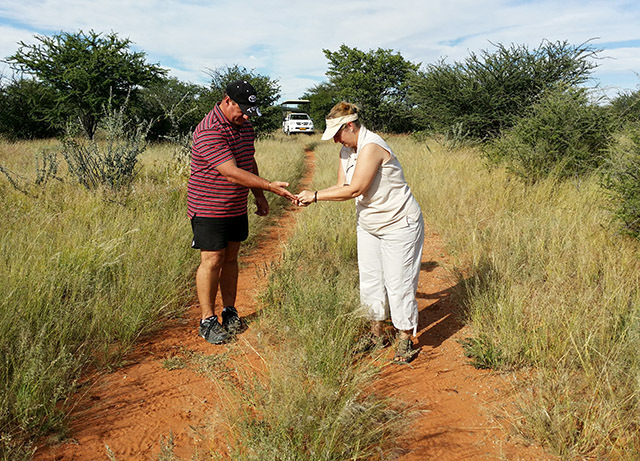 The game farm has a number of animals like giraffe, springbok, kudu, oryx, warthog, zebra; bat eared-fox, Damara Dik-Dik, rock dassies and the rare aardwolf can be sighted. 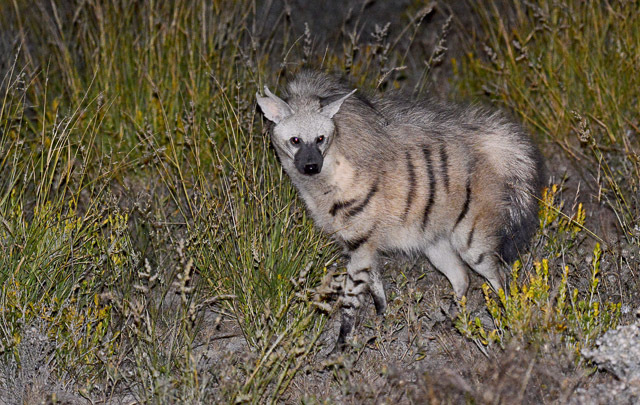 We had a great time on our night drives with Nico and we even found the rare Aardwolf, which has taken us a number of years to find! Guided or unguided walks along the dolomite hills can be done either in the early morning or late afternoon. 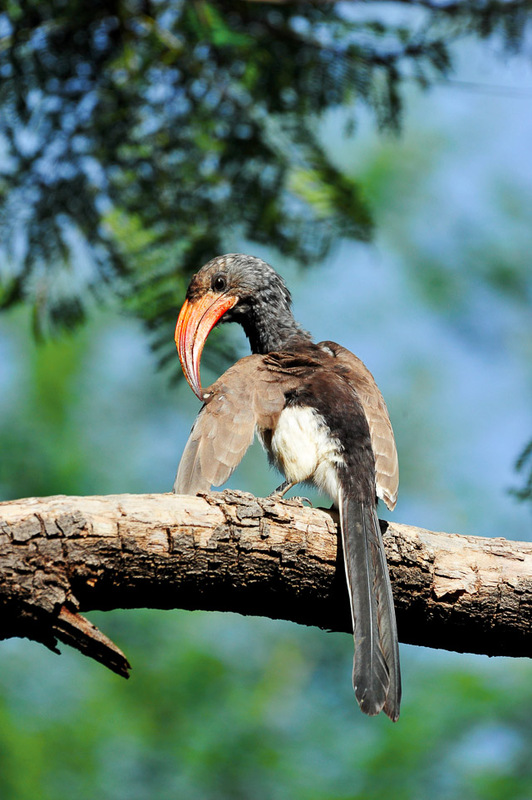 200 bird species can be spotted around this area, including 3 types of hornbill, the endemic Monteiro's Hornbill and the rare Hartlaub's Francolin. 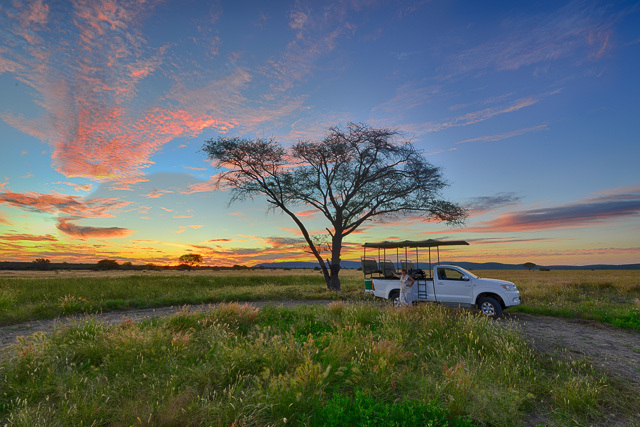 Guided day trips to Western Etosha or to the Ombonde River in search of the elusive desert elephant are on offer in a 4 X 4 vehicle. 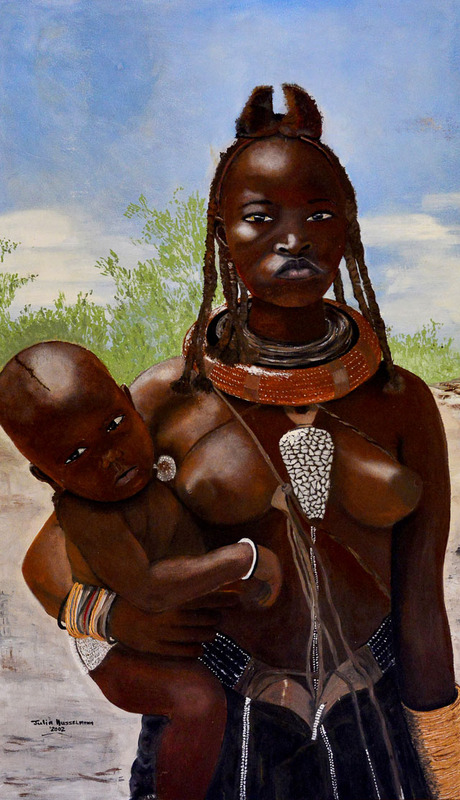 Another popular activity is a tour of an authentic Himba village on the Toko Lodge property. 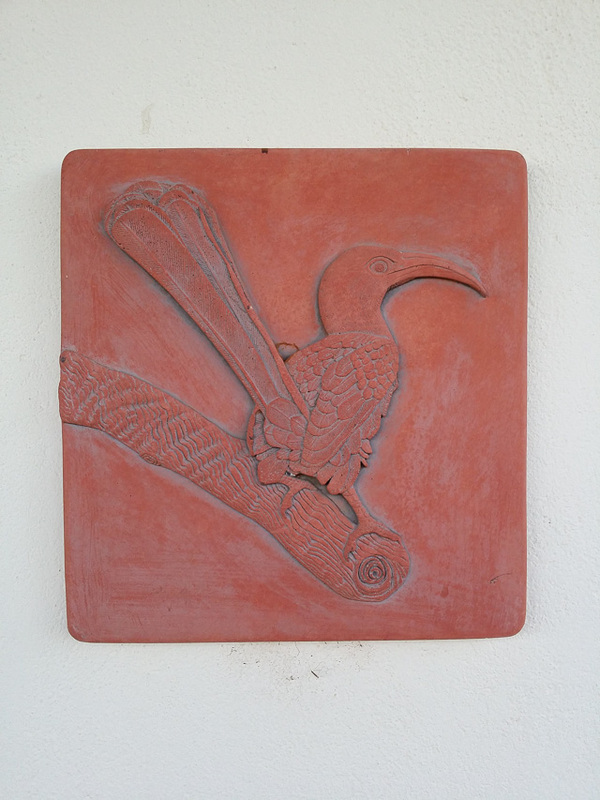 Thanks to Nico and Karola for their great hospitality, we will be back to visit your wonderful Rustig Toko lodge! 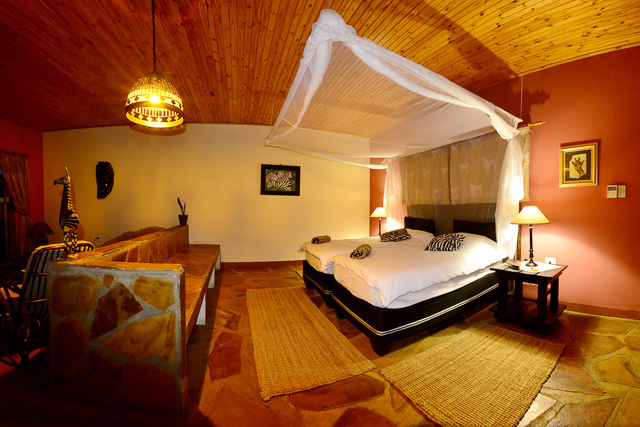 For more info on the Lodge or to make your booking please visit the Toko Lodge website.